Ware’s skills have been recognized on a national level, as well. In 2017, he was named a Forbes Under 30 Scholar. Through this opportunity, he attended the Forbes Under 30 Summit in Boston, a conference that brings together more than 7,000 inspired young entrepreneurs from across the globe to collaborate and learn about new innovations within a wide range of topics, including technology, healthcare, and business. At Cornell, he is the founding president of The Big Red Board of Health, a graduate student organization that exists to improve the health outcomes of the community and increase awareness of the issues that affect animal health, environmental health, and human health. 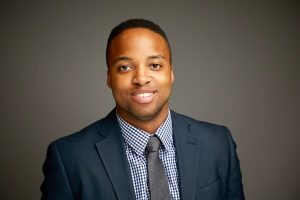 He has also served as a strategy intern at Northwestern Medicine, healthcare policy and government affairs fellow with EOP Group, Inc., and business transformation associate with ImplementHIT.